Tired of rifling through the golf bag in hopes of finding an old Sharpie to mark your ball with a half-inch line or your initials? 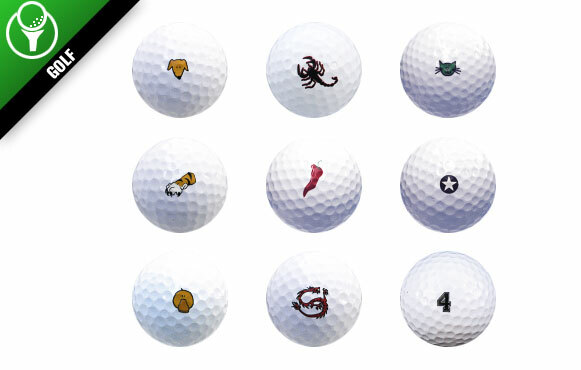 Golfdotz offers a variety of fun alternatives with its line of durable golf ball tattoos. Included in the collection are -- deep breath -- shamrocks, flames, hearts, flowers, cats, dogs, targets, bombs, skulls, aliens, scorpions, dollar signs, stars and more. And now, "more" also includes the "Sabbatini dragon," a personal design of PGA Tour pro Rory Sabbatini, who calls Golfdotz "the most unique and interesting method of identifying a golf ball I've seen." At a suggested retail price of $5.99 per two dozen, these make for the perfect stocking stuffer.